VOOPOO FINIC 16 AIO KIT is designed in elegant and ergonomic way, which will not only provide elegant appearance but also a comfortable vaping experience. Equipped with 850mAh battery and Ceramic Heater VOOPOO FINIC provides a long lifespan and meet different demand of you. Here comes a new member of VOOPOO family, VOOPOO FINIC 16 AIO KIT which is designed in elegant and ergonomic way. Not only good in appearance, it will also provide you a comfortable vaping experience because of the ergonomic design of drip tip, hence as well, providing a smooth and stable flavor for you. 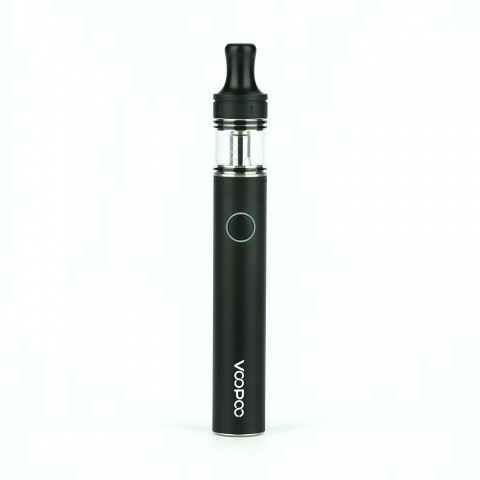 Powered by 850mAh battery, it can well support your ordinary vaping. Furthermore, adopting water transfer printing and illustration arts, VOOPOO FINIC 16 AIO KIT makes you decent enough when holding it in hand. Equipped with Ceramic Heater, VOOPOO FINIC provides a long lifespan and meet different demand of you. • VOOPOO FINIC 20 AIO KIT is also available in BuyBest. • You may have interest in other kit like Eleaf iJust 21700 Starter Kit.